Add oats, milk, yogurt, sweetener, chia seeds, vanilla, and strawberries to a half-pint mason jar. Stir well. Place lid on jar and shake to combine a bit more. 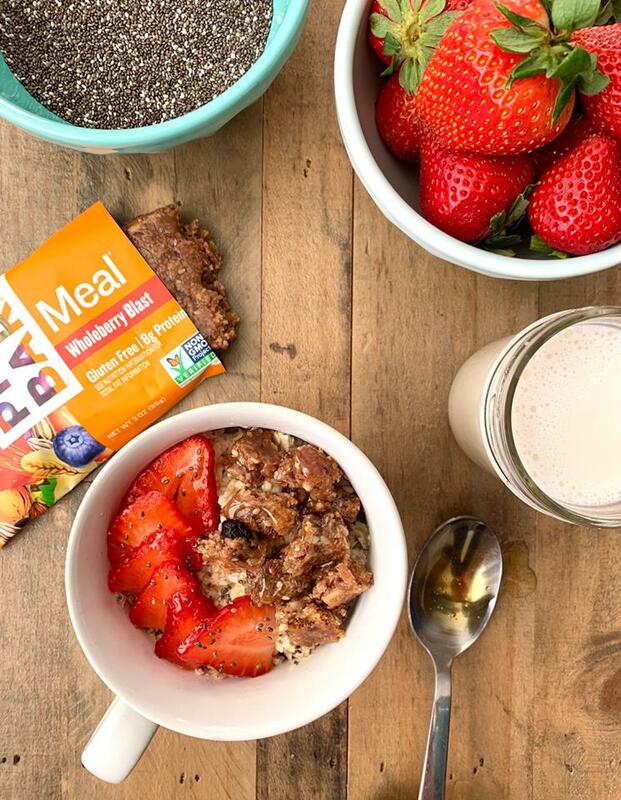 In the morning bring to room temperature or heat up and top with WholeBerry Blast Meal bar.